Next week, I hope to have a batch of fresh new photos to share with you, as the wait the replacement of my broken lens has finally concluded. I hope to take my newly acquired lens out this weekend and scratch my photography itch, as it has been two weeks since I have really pushed myself to try to capture anything new. 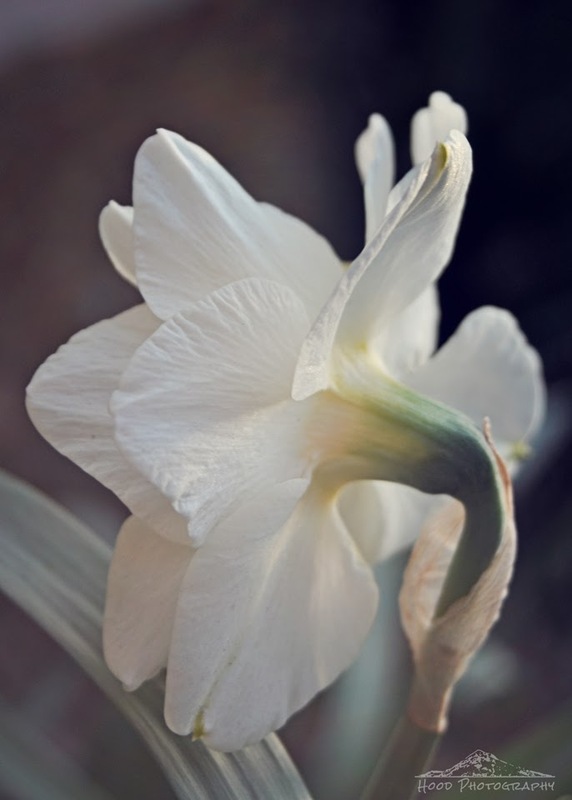 I have been limited to a backup lens and the findings of my own backyard, such as this freshly bloomed daffodil captured just as the last of the golden hour light hit the backside of its petals. And with that, I wish you a happy weekend! Lovely shot. I'm sorry about your lens.